Invisalign orthodontics use comfortable, clear, removable aligners that are perfect for improving the straightness of your smile. Since they are so thin, most people will never be able to tell if they are even being worn. Streamline Dental Solutions offers clear braces for adults in teens in Blacksburg. 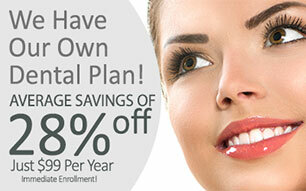 Streamline Dental Solutions dentists provide Invisalign right here in our family friendly, cosmetic dental office. The precision and comfort that this procedure delivers allows our Blacksburg area patients to experience straighter teeth without the need for traditional metal braces. Because Invisalign aligners are removable, our patients have a much easier time implementing them into their daily routines. There are no dietary restrictions and the aligners are simply removed for regular brushing and flossing. No adjustments are needed – just change out your aligners every 2 weeks to progress your treatment with fewer visits to our dental office. 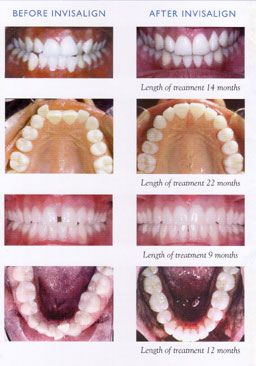 Don’t put off the straighter smile that you’ve wanted for years. Invisalign makes a healthier, more beautiful smile a reality for our patients. 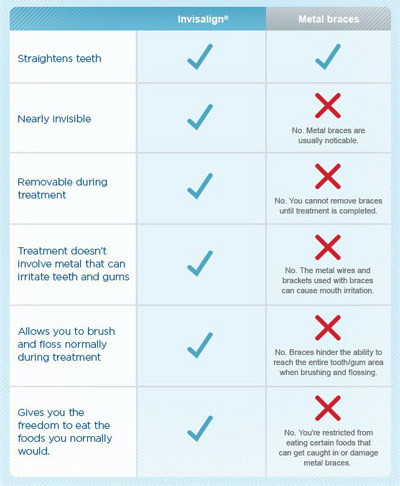 Visit with one of Streamline Dental Solution’s Invisalign dentists for your free consultation.